This weeks albums are a bunch of Heavy Yeasayer’s having a Bloc Party, and you’re invited! I fell in love with this record. The Glorious Dead is a powerful, exciting force of an album. 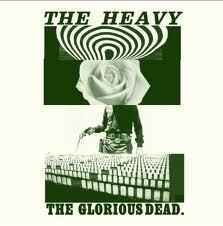 The Heavy have taken all the best elements of rock, blues, and early Motown R&B and created a truly epic sound. Heavy, fuzzy riffs and thundering percussion are met with exhilarating String, Horn, and Choral arrangements that augment each track without feeling forced. This is a record that was meant to spin on a turntable in between your Otis Redding/Sam Cooke records as well as your Black Keys and Band Of Skulls. Big tracks like ‘What Makes A Good Man’ (below) and ‘Don’t Say Nothing’ pop and wail, while the haunting ‘The Lonesome Road’ simmers along at a slower, more measured pace. This album doesn’t have a dull moment. Every tune is worth getting lost in, so I recommend grabbing your best set of headphones and letting The Glorious Dead take you away. Easily my favorite album out this week, this is also a strong contender for my top albums of the year. Pick it up at Amazon now for just $6.99! As a fan of picking out bands influences, I loved listening to Yeasayer‘s Fragrant World. Yeasayer is rightfully lumped into the Electronic genre, but their songs owe a debt to the worlds of pop, funk, folk, and psychedelia as well as more worldly African beats and Middle Eastern arrangements. Much of Fragrant World doesn’t stray from a mid-tempo bounce, but rather than get caught in a straight forward lulling monotony, the group chooses to create unique and engrossing soundscapes on each of the album’s eleven tracks. The fantastic vocal effects on ‘Longevity’ (below) give the tune a robotic Prince effect before giving way to swirling synths and strings. Other tracks like ‘Devil And The Deed’ and ‘No Bones’ echo paths forged by the likes of Depeche Mode, but their fresh production and looped backing tracks keep the tunes from feeling stale or rehashed. 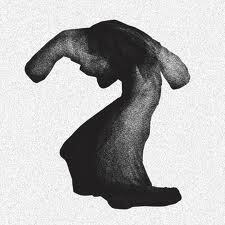 The inclusion of the Dub influenced ‘Henrietta’ gives the record that multi-genre balance that Yeasayer’s contemporaries fail to accomplish when culling together a full length. Fragrant World finds the group in a class all their own, high above what you may perceive as today’s Electronica. 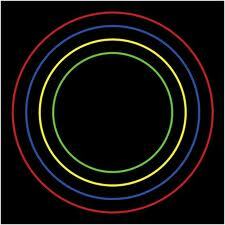 Join the fun by grabbing the album over at Amazon.